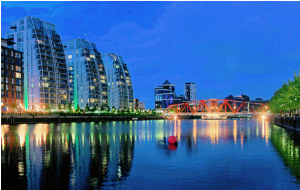 Are you looking for an accountant for your business in Salford? Then look no more, we have the perfect solution for your requirement. Miranda Management and Accountancy Services Limited have the most efficient accountants in this area. We deal with all the accounting and finance related services. Hence, our team is working very hard to fulfill our customer’s requirements. Our accountants and auditors will analyze your business from the scratch to understand your business requirements. We spent a significant amount of time to understand the business methods of our clients and accordingly work to provide them the best services. We value our customers and work hard to improve our services with the help of our customer’s valuable feedback. We have an excellent track record of getting our job done within the company deadline with perfection. Our clients are not only satisfied with our services, they also recommend us. In today’s competitive world, we work really hard to not give our customers the opportunity to complain. We excel in providing the best accounting related services at the best price. As an accounting service provider our existence is only justified if we benefit our clients in a reliable and professional way. Still if you have any doubts then call us right now for further discussion. So, call us right now, and book your appointment absolutely free.